Ecuador has bragging rights to the cutest animal discovered in the last half century – the olinguito! This 2-pound member of the racoon family looks like the perfect combination of a kitten and a teddy bear. Deep in the cloud forests of Ecuador, olinguitos have scampered through the trees undetected by people for, well, all of modern history. It wasn’t until 2013 that scientists working in the Andes suspected there might be a new species roaming the Americas. 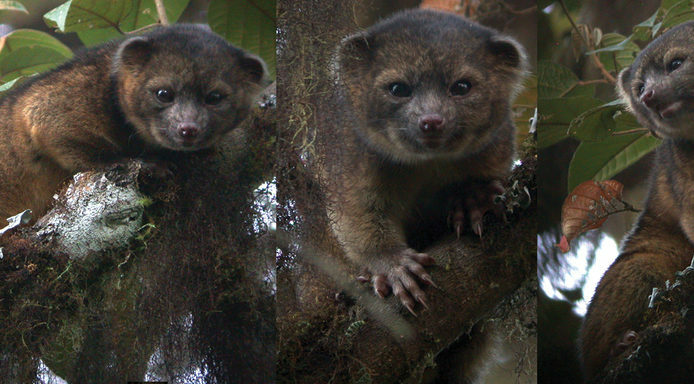 Researchers hope that the discovery of the olinguito will help protect the Ecuadorian cloud forests from deforestation. Surely still more (and maybe cuter!) animals are out there to be discovered in a region that has still not been completely explored.